A Pure Vegetarian diet abstains from all kinds of meat (red meat, poultry, seafood, and the flesh of any other animal), and also includes abstention from by-products of animal slaughter. 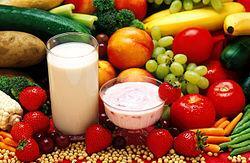 Like a lacto-vegetarian diet, it includes dairy products but NOT eggs. Pure vegetarians also avoid products that may use animal ingredients not included in their labels or which use animal products in their manufacturing; for example, sugars that are whitened with bone char, cheeses that use animal rennet (enzymes from animal stomach lining), gelatin (derived from the collagen inside animals’ skin, bones and connective tissue), cane sugar and apple juice/alcohol clarified with gelatin or crushed shellfish and sturgeon. All raw materials used including all food that comes in contact (even traces) with the Pure Vegetarian must also have been prepared according to these Pure Vegetarian Guidelines. All production/processing lines, crockery, kitchen utensils and equipments, cooking place used for making or storing the food must not have previously ever been used to process or produce any product that does not confirm to these Pure Vegetarian Guidelines. Pure Vegetarian food must be physically segregated and should not come in contact with other food items which are not Pure Vegetarian, during packing, serving, transportation and storage in Chillers, freezers, cold rooms, to name a few.